Situated on the picturesque Richmond River these quality apartments have a range of resort facilities for guests to enjoy (25 mins south of Byron Bay). 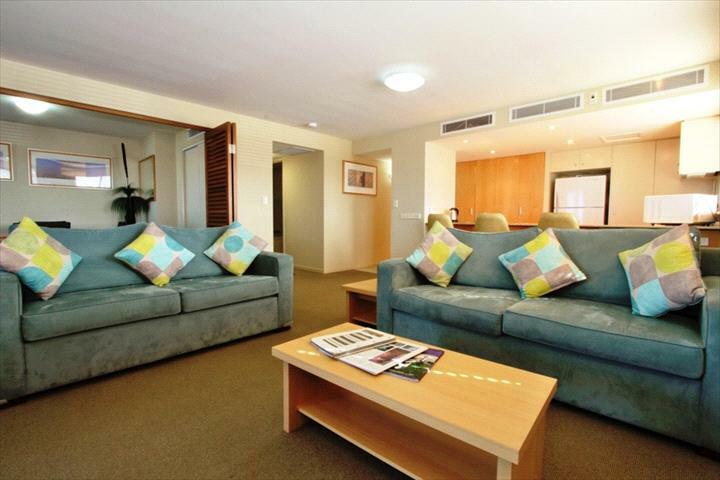 Situated on the picturesque Richmond River, Riverside Suites offer four and a half star superior leisure and corporate accommodation. The resort has large, modern Hotel style or spacious 1, 2 and 3 Bedroom Apartments. The Hotel rooms consist of one queen size bed, ensuite, tea and coffee making facilities, sitting area and private balcony. The Hotel Deluxe rooms boast the same facilities plus a microwave and toaster. They are also more spacious with river glimpses from the balcony. All the 1, 2 and 3 Bedroom Apartments have full kitchen and laundry facilities as well as generous living and dining areas. The 2 and 3 Bedroom Apartments have two bathrooms with the ensuite also featuring a walk in robe and spa. 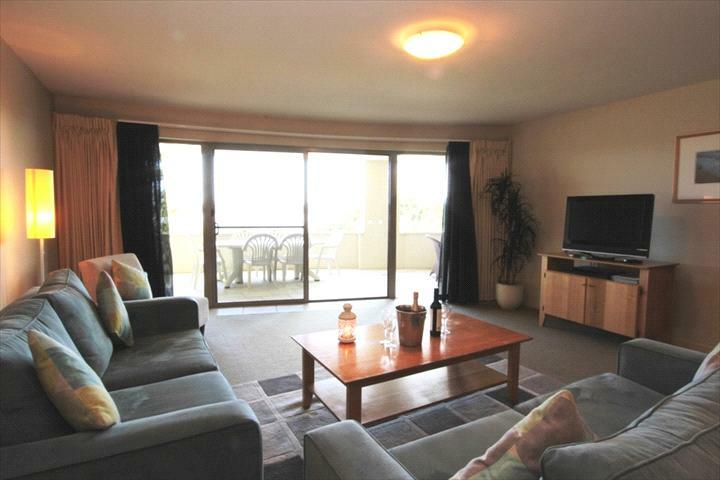 These rooms also have a spectacular view of the Richmond River from their spacious balconies. The in house restaurant is open 7 days a week for breakfast and lunch and 5 nights for dinner. 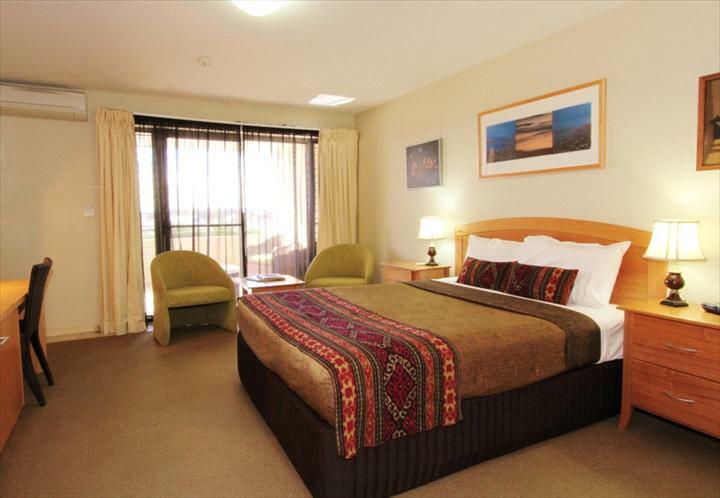 Featuring a heated indoor swimming pool, well equipped gym, restaurant, wine bar and secure undercover parking, Ballina Riverside Suites are ideal for the corporate traveler, couples, family holidays, corporate travellers and wedding groups. The coastal township of Ballina is a scenic 25 minutes drive south of Byron Bay along the coast road. The beautiful beaches and waterways offer swimming, surfing, sailing and kayaking along with the water slide, cinemas, shopping centres are a few activities Ballina offers and abundant choice of cafes and restaurants. 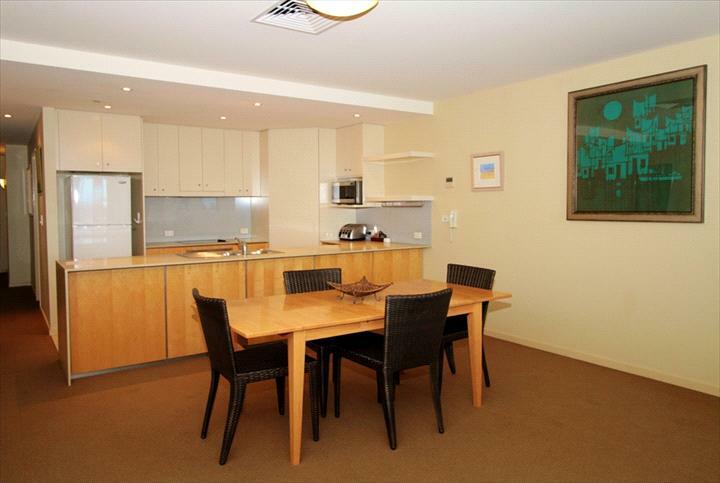 Riverside Suites are located a 25 min drive South of Byron Bay. Our spacious, fully self-contained one bedroom apartments with separate lounge and dining area are ideal for couples wanting a bit of space to stretch out and relax. Large Easterly aspect balcony provides the ideal place to sit and enjoy a glass or two while enjoying views of the Richmond River. The holiday makers dream for the small family! 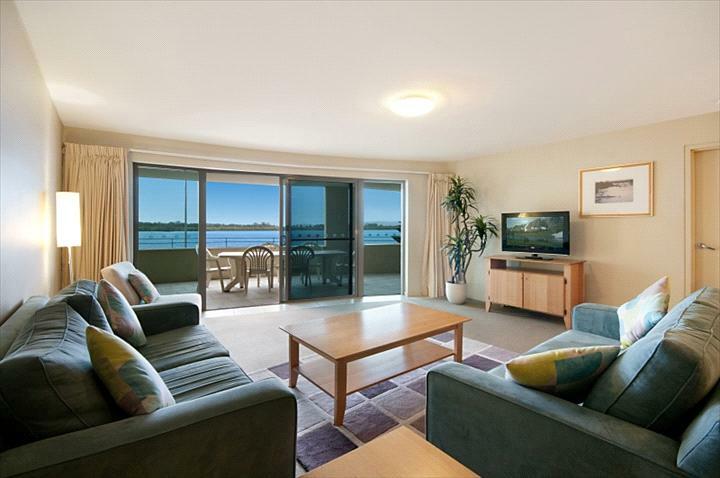 Walk into our spacious air-conditioned 2 Bedroom apartments which features an en-suite with spa bath and 2nd bathroom, fully equipped kitchen and laundry facilities, then relax and contemplate on how much you are going to enjoy your family holiday in beautiful Ballina. 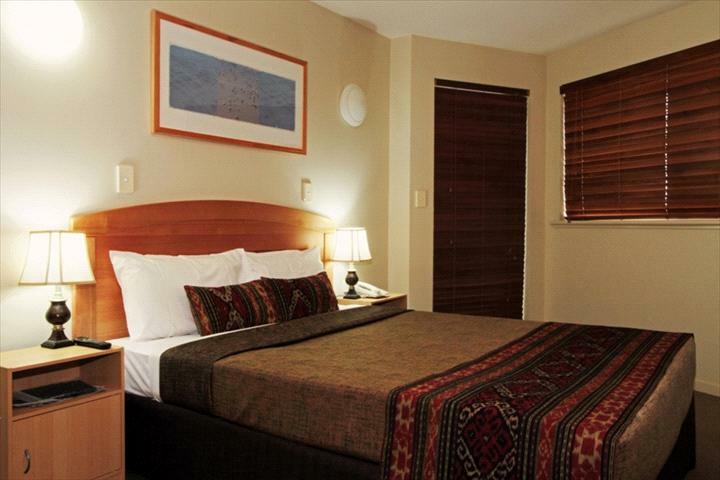 Should you require a �Wheel Chair Assisted� designated room, please contact reception to confirm availability. Cots available for hire for $10 per night. Room rate is for room only for up to 4 people. Sofa bed sleeps additional 2 people for an extra $20 per night. Restaurant located in foyer. Reception open 7 days a week. Total luxury for a large family or a group of friends. Our deluxe 3 Bedroom apartments give you the space you need. These tastefully decorated fully self-contained apartments feature a master bedroom with a Queen Bed and en-suite with a spa bath, second bedroom with Queen bed, third bedroom with two single beds, 2nd bathroom, fully equipped kitchen and laundry facilities. Spectacular river views from the large balcony make our 3 Bedroom apartments the perfect place to enjoy an evening drink before dinner. Cots available for hire for $10 per night. Room rate is for room only for up to 6 people. Sofa bed sleeps additional 2 people for an extra $20 per night. Our modern and spacious Hotel Deluxe rooms are ideal for the corporate guest intending a longer than usual stay or a couple simply seeking some time away. 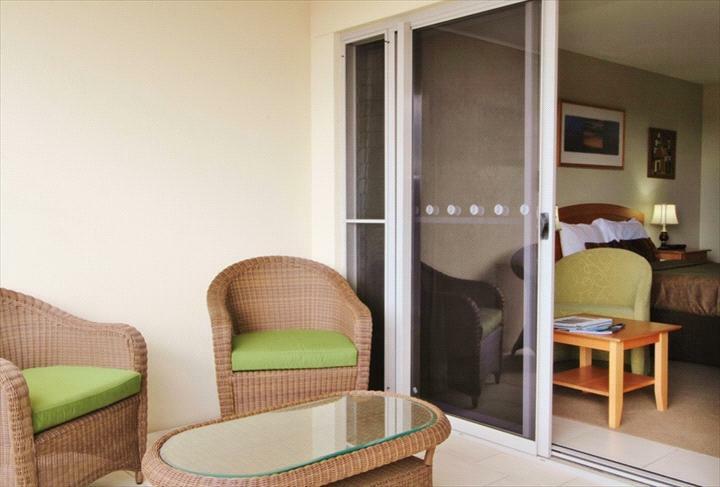 Complete with a microwave and toaster, this fully air conditioned suite features both river and town/hinterland views from the balcony, and are larger than the standard hotel rooms. Our Hotel rooms are designed to cater for the busy corporate traveler. 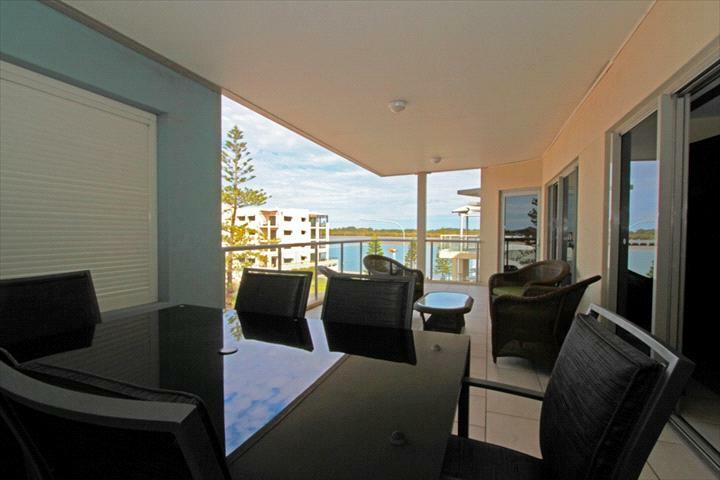 Located in the center of Ballina, but away from the Hustle & Bustle, Riverside is the ideal location to stay at after a busy day on the road or to prepare for that hectic schedule the next day. All rooms have wireless internet and a comfortable work station so that you can confirm important orders, download progress reports or just communicate with family and friends. We offer free daily housekeeping service to our long stay corporate guests in our Hotel and Hotel Deluxe rooms. Restaurant open for Breakfast & Lunch 7 days a week, Tuesday to Saturday for Dinner.